The PABAR are out of stock until mid-January. 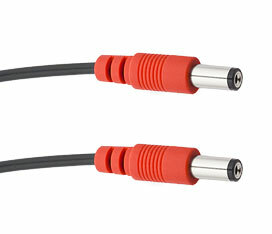 Pedal Power AC Cable:This cable with two 2.5mm straight barrel connectors powers units like the Digitech Whammy, Line 6 Digital Modelers and Mesa Boogie V-twin. Also powers the Voodoo Lab Ground Control Pro and Pedal Switcher. Voodoo Lab is a trademark of Digital Music Corp. © 2019 All rights reserved.